AFTER COMING TO THE END of a lengthy busy period at work, I’ve been dedicating some time to long and luxurious Reiki self-treatment. For me, it’s a rare treat to set aside exclusive time for such things and it feels wonderful. As I place my hands on my body, I can feel the tension easing in my shoulders, the heat building up in my body and something gently softening in my chest. I’m feeling so grateful to have Reiki in my life, making me feel so good. Jeff’s words made me realise that this is exactly what I have been doing over this past few months, slowly but surely keeping Reiki integrated into my life, whenever and wherever I could, in the spaces between the busyness. And it has paid off with a level of productivity that I didn’t think would be possible a few months ago, when I looked out towards the daunting list of tasks that lay ahead of me. The purpose of this story is not to advocate Reiki as another ‘tool’ to help us become more efficient, productive versions of ourselves. It is simply to express gratitude to a simple yet powerful practice that, if committed to over time, can transform our lives. 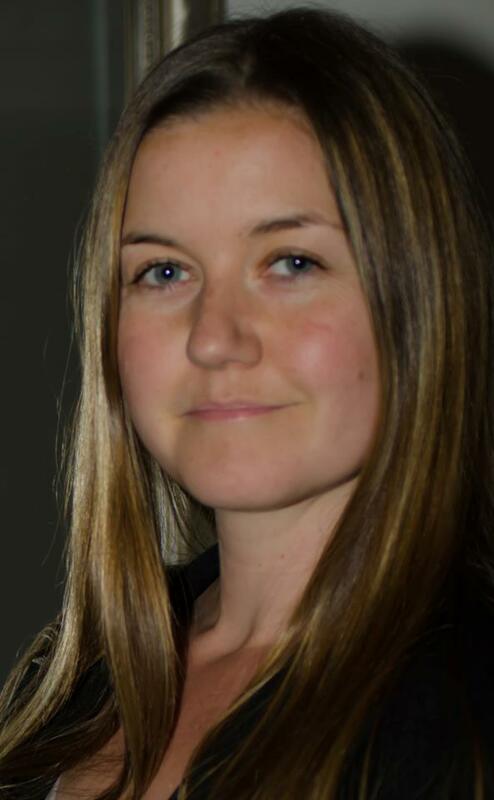 Elaine Rainey works as an ecologist and Jikiden Reiki practitioner and junior teacher based in Scotland, UK. Jikiden Reiki is a traditional style of Japanese Reiki, making a strong effort to keep the practice as close to its original form as possible. Elaine works with fellow Reiki practitioners and teachers to promote the benefits of Reiki, to support others through their healing journey and to encourage people to learn this wonderful healing art for themselves. 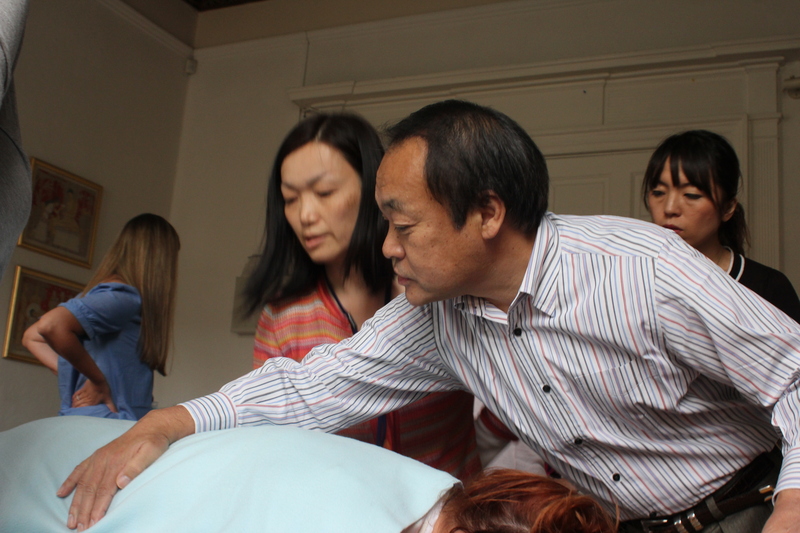 In September 2013, you will be able to learn authentic Reiki with Yamaguchi Sensei , the head of the Jikiden Reiki Institute in Kyoto, right here in Scotland. Until 2000, this level of in-depth understanding of Reiki practice had been locked inside Japan, with the first Westerners training in Kyoto in 2000, and it was only from the early 2000s that Tadao Yamaguchi started travelling to many Western countries to spread Reiki in its original Japanese form. If interested in this incredible training opportunity contact Gisela Stewart. When Mikao Usui founded the method of Reiki Ryoho in the 1920s, he was determined not to keep it for his own benefit but to share it with society. He believed that Reiki should be made accessible to everyone, to help people improve their physical wellbeing, peace of mind and happiness*. This was an unusual position to hold in a culture where keeping such things within the family (in order to protect the wealth that could be generated from it) was common. If we are to carry on the legacy of Mikao Usui, what are our options for bringing Reiki to society at large, so that all can benefit? What steps can we take to avoid the pitfalls that might discourage the general population from giving Reiki a try? If we consider the mindfulness movement, pioneers such as Jon Kabat-Zinn have integrated mindfulness into the mainstream with so much success that it is now widely used in a variety of settings, from hospitals to prisons to staff wellness programmes within large multi-national companies. It has taken decades to achieve such success, but if we look back to the formative years, it becomes clear that the mindfulness pioneers had developed a winning formula from which to work. 1. It is secular (available to all, regardless of belief). 2. It is evidence-based (validated by personal experience and sound science). 3. It is beneficial to our lives right now (to our health, happiness, families, society etc.). If we consider these three principles in the context of Reiki, it becomes clear that our goal is arguably very much the same and that we have much to learn from how the mindfulness movement has approached the task that we as a community now have ahead of us. 1. Reiki is secular: Mikao Usui stated in the Kokai Denju that “all living things possess this incredible ability”. Once trained, anyone can practice Reiki, regardless of their belief system. 2. Reiki is evidence-based: Small but reputable studies on the benefits of Reiki are emerging (see http://reikiinmedicine.org/medical-papers/) but we have yet to see good quality, large scale studies demonstrating its efficacy. However, this should not leave us disheartened. As a community, we have many success stories to tell. Such testimonies may not be appropriate for convincing the medical community of the efficacy of Reiki but for the general population, a well-articulated testimony from someone they trust can have much more impact than a piece of published research ever could. Numerous testimonials have been published showing the different ways in which Reiki has helped people. For example, you can read about Reiki for stress management at http://on.fb.me/VlvfB8, Reiki with Autism at http://bit.ly/11f5s4z or Reiki in acute trauma at http://on.fb.me/WMDc3z. 3. Reiki is beneficial to our lives right now: Once we learn Reiki, we can use it right away to support ourselves, our friends, families and communities. The energy is the same whether we have been practicing for years or for just a few days. Being a beginner should not be seen as a barrier to efficacy. Once we have Reiki in our lives, it will always be at hand when we need it, helping us to cope with whatever challenges life throws at us. In continuing the legacy of Mikao Usui, we all have an important part to play. Whether Reiki stays exclusively within our hearts, shining out towards others and speaking to them without words; whether the impact stays exclusively within our families or whether it extends to the setting up of research projects within our local communities or further afield; we are all contributing to positive change, to the changing of hearts and minds in such a way that Reiki will one day be considered as truly integrated into society at large. * Taken from the Kokai Denju, a rare interview with Mikao Usui (the founder of Reiki practice) about the system of Reiki. Elaine has been a Jikiden Reiki practitioner for a number of years and has recently become a Jikiden Reiki teacher (Shihan Kaku). I’m amazed what even just three or four Reiki treatments can sometimes achieve. A month ago I saw a client three times in quick succession, who had been frequently ill for over two years and despite regular check-ups with her doctor and repeat medication, unable to get to the root cause of her problem. Tired of being ill almost constantly, she was willing to commit to the three sessions in quick succession that I had recommended. We were going to reassess the situation after the initial boost, but it turned out that this was all the help she needed. Usually, chronic scenarios require a little more patience and commitment. However, this lady left feeling better after just three sessions. I am convinced that she would not have had the same results with the same number of treatments if given at weekly or fortnightly intervals. In my experience, to maximise chances of improving long-standing conditions, consecutive treatments are key. In Jikiden Reiki seminars, when talking about the history of Reiki, we teach that Chiyoko Yamaguchi and her sister Katsue went out into the community for treatment on consecutive days, and working in this way fits well with the concept of byosen, a way of observing the body’s response to Reiki treatment that is a corner stone of Jikiden Reiki practice. While byosen is strong, get back to the problem area as soon as possible (not a week later, as is the common expectation). It seems (from a discussion I followed on LinkedIn), that one of Mrs Takata’s students, Virginia Samdahl, also encouraged working in consecutive sessions. While substantial commitment is required from both practitioner and client, experience shows that using Reiki in this way is more likely to get the desired results. On the related subject of chronic pain, internationally respected author and champion of integrative healthcare, Pamela Miles, recently refused to be impressed with a 40% improvement after Reiki treatment, suspecting that even better results might have been achievable with a few more sessions. In my opinion, based on treatment experience and my understanding of Jikiden Reiki, people who commit to an initial program of consecutive sessions or sessions scheduled in quick succession, can sometimes improve considerably. Learning Reiki themselves at this point, they can then self-treat for maintenance. If only there were a way of funding blocks of let’s say four to six sessions in quick succession, perhaps to be repeated once or twice (as required), so that more people suffering from chronic conditions could experience this type of shift. Reiki works so well with very different personalities: those who have a need to talk through their experiences (who often gain considerable clarity with Reiki treatment), and those who choose to keep their inner landscape private. Importantly, Reiki works equally well for those people who prefer privacy, a way of processing feelings and experiences without going into or sharing their ‘story’. Over the years, I have worked with Reiki with a number of very ‘private’ clients, what a relief to them not to have to talk….and still come out so much lighter. As a Reiki practitioner I find that my clients often come with unspoken expectations about their sessions with me. Showing up for treatments at weekly intervals is one of them, and at times this appears to be a rule set in stone. Yet working in this way does not always get the best results. 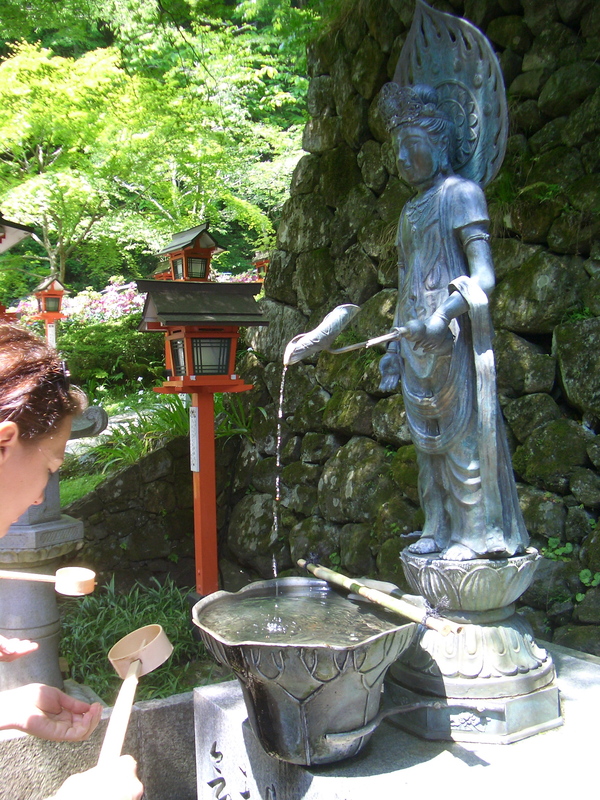 As Jikiden Reiki practitioners, we are guided by the sensations we feel in our hands when placing them on a client. This body feedback helps the practitioner to locate the areas in the client’s body where toxins have accumulated. Carefully observing how these sensations change over time helps us to assess how long to treat a specific area and when to expect improvement. We refer to this skill as sensing byosen (pronounced: bjoh sen). Our treatment decisions, in Jikiden Reiki, are based on this concept of byosen, tuning into and following the body’s natural healing response. As we focus energy on an area with high accumulations of toxins, Reiki helps to break these down more effectively. The sensations we are looking for can be felt at their most intense when this happens. Often, the toxins are deeply buried within the tissues, though, so Reiki is needed to first bring them to the surface. During these periods we may not feel so much. So careful observation over a period of time is indicated! From a Jikiden point of view, there are no standard hand positions nor a standard length of treatment. Of course we would not keep you on the treamtment table beyond your endurance limit. But for severe cases, a 70 to 90 minute treatment might be quite in order. Chiyoko Yamaguchi, my teacher’s mother, and herself trained by one of the original Reiki teachers, often gave Reiki for an hour and a half, and then asked her client to be back next day or as soon a possible, when she was working with severely ill clients. And this she would keep up for a period of two or three months, if necessary, until the sensations in her hands (and the client’s health of course!) indicated improvement. Of course, seeing a practitioner this frequently would be difficult to afford for most people. This is why Tadao Yamaguchi, the head of the Jikiden Reiki Institute in Kyoto, often recommends that someone who is seriously ill, learn Reiki and also receive frequent Reiki treatments from a family member or someone who is able to make this level of commitment to them. Even with comparatively more minor health problems, the weekly treatment model may not always be best. While byosen is strong, perhaps two or three treatments in one week may help the client to return to full health much more quickly by comparison to the alternative of making weekly appointments by default.